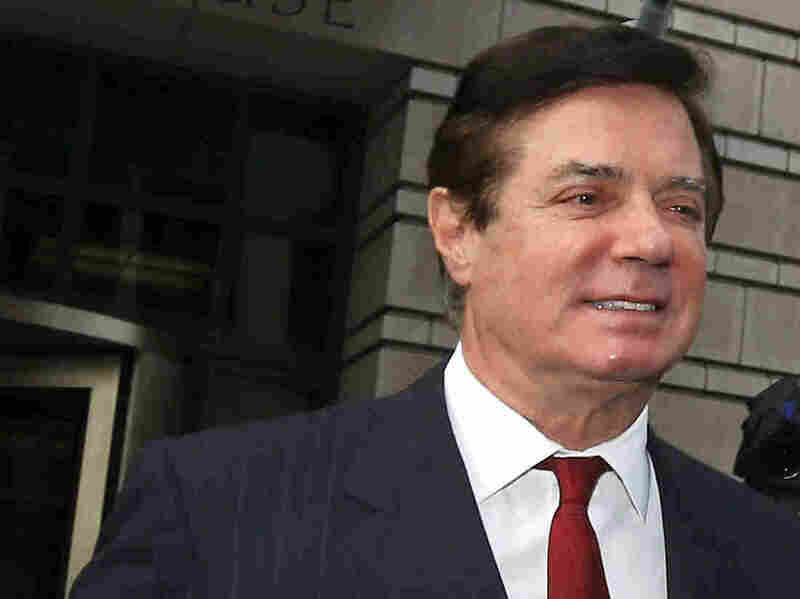 Manafort: Never Mind, Please Don't Move Me To Jail Near Washington After All A judge agreed to move President Trump's former campaign chairman closer to the site of his trial, but Paul Manafort says he has changed his mind and wants to say put. Former Trump campaign chairman Paul Manafort changed his mind on Tuesday and asked a judge to keep him in detention in Warsaw, Va., and not move him to Northern Virginia after all. Manafort had said that being locked up so far from his lawyers made it hard to prepare for his trial on charges of bank and tax fraud. Then, later on Tuesday, he changed his mind. His attorneys asked Ellis to keep him in Warsaw after all. Manafort has pleaded not guilty. He was ordered to jail ahead of his trial after prosecutors accused him of contacting witnesses to influence their testimony. A new federal indictment on those charges soon followed. Manafort has asked to delay the Virginia trial for months. Prosecutors working for Justice Department special counsel Robert Mueller, however, have signaled they are ready to start their case in Virginia on July 25 as planned. The special counsel's office also opposes a proposed change in the location of the trial from Alexandria, Va., in the National Capital Region, southwest to Roanoke. Manafort's legal team argued that not only could he not get a politically fair jury in more Democratic-leaning Northern Virginia but that people in Southwest Virginia have less access to high-speed Internet and other communications, which means potential jurors there wouldn't be familiar enough with his case to prejudge it. The Roanoke Times welcomed the prospective change of venue in an editorial on Tuesday — "think of what a weeks-long national trial would mean for hotels and restaurants," it wrote — but it slammed the idea that locals don't know about current events. "We may not be as wrapped up in the case as people in Northern Virginia — where politics is the biggest local industry — but is there really a registered voter in Southwest Virginia who has not heard of Manafort's indictment and special counsel Robert Mueller's larger investigation?" the editors asked. "We may not have as much broadband as Northern Virginia, and the broadband we have may not be as fast, but we're not ignorant."